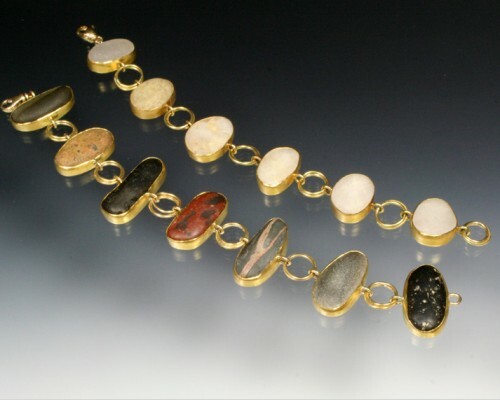 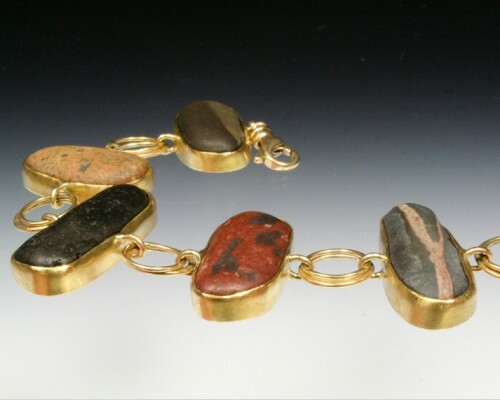 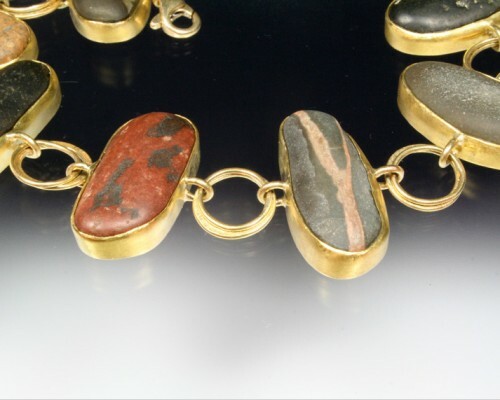 Linked beachstone bracelet for maximum flexibility and lightness. 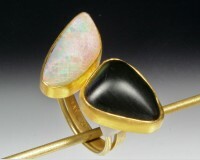 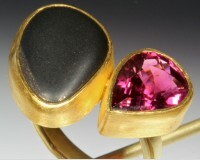 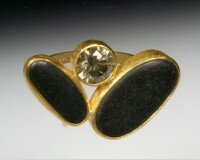 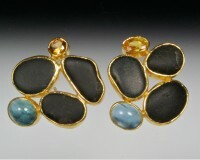 22K gold bezels with two 14K gold rings between each stone. 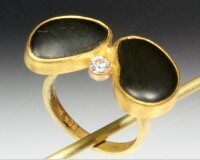 Large spring ring clasp. 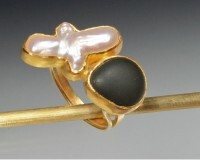 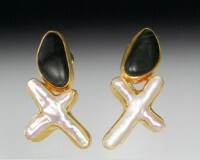 Available in white quartz and black basalt.